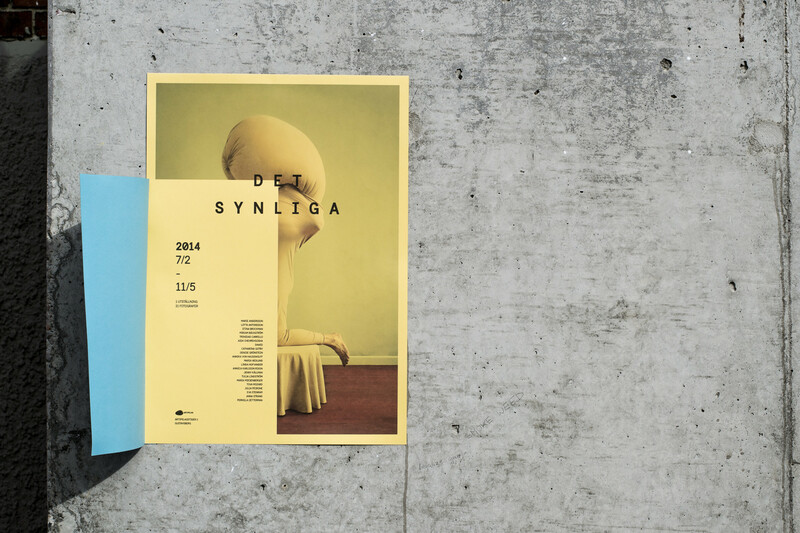 Concept for the exhibition Det synliga – The visual. “Det Synliga” was a photography exhibition at Artipelag outside of Stockholm, where 20 Swedish artists where showing their works. I wanted to bring attention to the fact that they were all Swedish that was participating in the exhibition without making it feel “too Swedish”. The tabs on the posters works as an interactive element for spectators, forcing them to interact with the poster to be able to read the information, on the same time that it plays with the name of the exhibition “The Visual, or what you can see as it may be translated to from swedish” – hiding the complete name of the exhibition. On the same time as it waves in the wind, demanding the attention of by passing pedestrians.